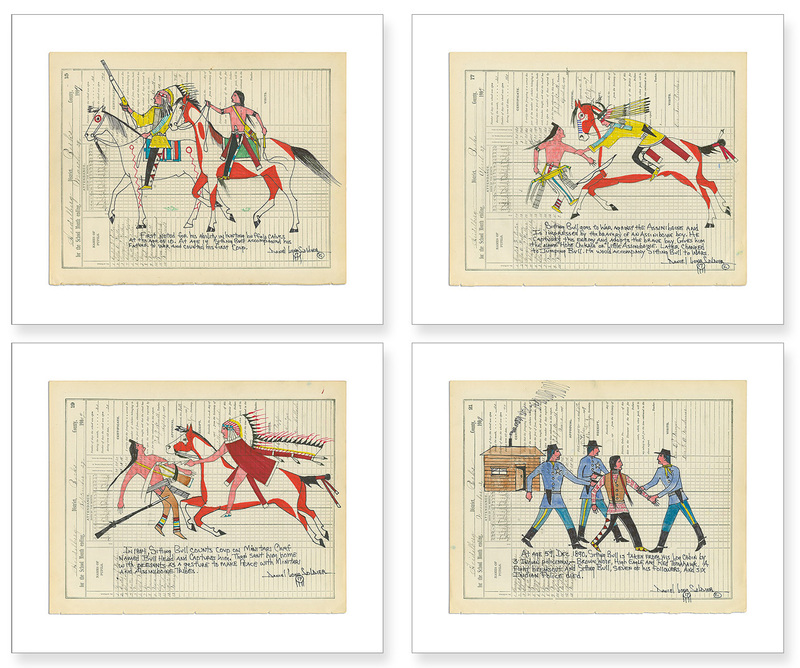 A Suite of Four Images, each 12"w x 9"h.
Sitting Bull (c.1831-1890) was the Native American chief under whom the Sioux tribes united in their struggle for survival on the North American Great Plains. 2. Sitting Bull goes to war against the Assiniboine and is impressed by the bravery of an Assiniboine boy. Gives him the name “Hohe Chikala” or “Little Assinboine.” Later changed to Jumping Bull. He would accopmpany Sitting Bull to wars.